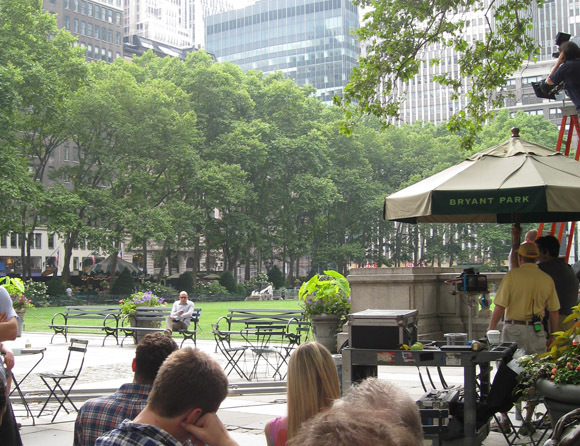 At the end of June, USA Networks White Collar used Bryant Park as a backdrop for the finale of their third season. 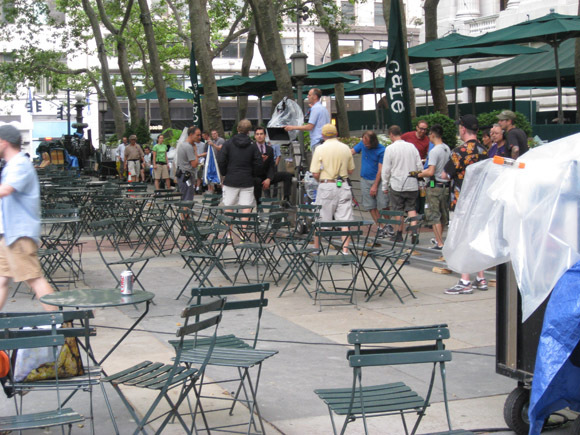 Now that the television show has aired, we can finally show you the behind the scenes pictures we took of their cast and crew filming in the park. 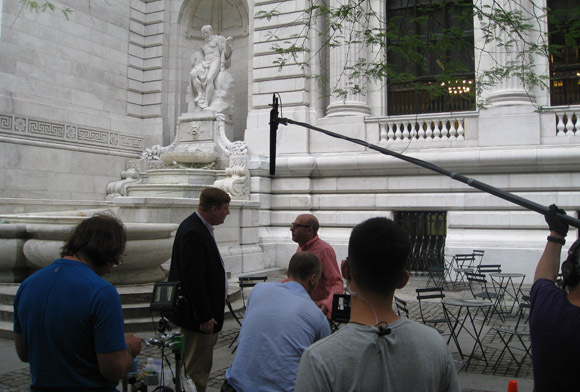 Rain forced the crew to be prepared for the worst. 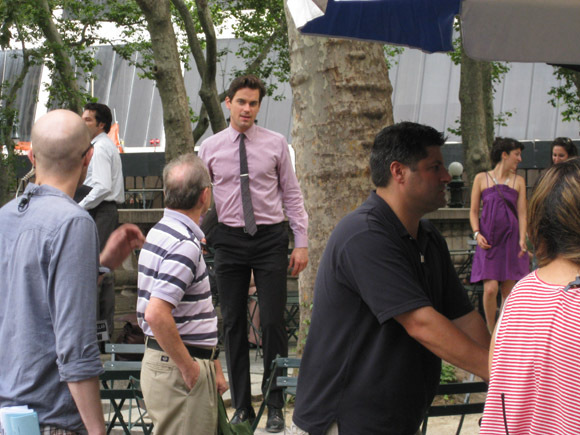 Matt Bomer posed for fan pictures all day long.